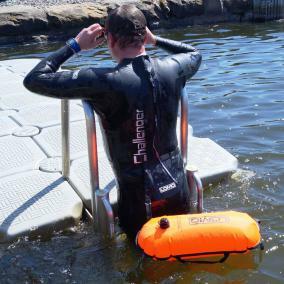 This article is a follow on from last months post and provides a series of tips on getting prepared for your first open water triathlon. This article is the first of a series of tips on being prepared for your first open water triathlon. This may seem obvious but how to pick a triathlon wetsuit mainly comes down to one important thing which is its fit. Wetsuits must be well fitted, as tight as possible before feeling restrictive; shoulder rotation is the single most important aspect of body and wetsuit movement. Your budget should not restrict the most important part of buying a wetsuit and that is getting the right fit/size. You are looking for a good wetsuit for triathlon, why buy a triathlon wetsuit specific for triathlon when you can buy one from a local sailing centre? Subscribe to receive notifications about products and news from Tenola.